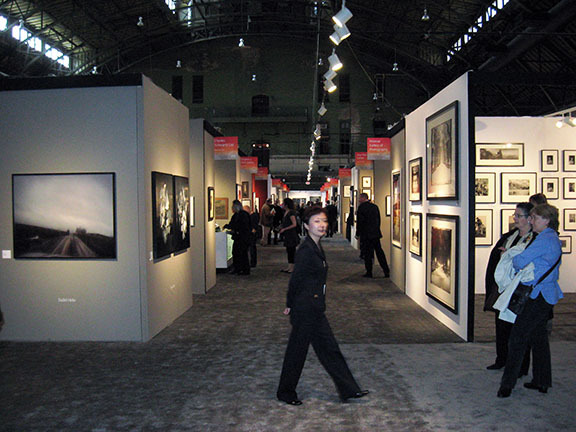 Robert Aller, Chris Lizon, George Desmarais and I went to the Association of International Photographic Art Dealers Annual Armory Show yesterday. I try to get there every other year to see what is selling on the World’s photography gallery market. This year’s NYC extravaganza is an unsurprising mix of classic silver prints from the 20th century, a few 21st century efforts at picturing something fresh and a substantial batch of 19th century treasures. Photography prices seem to be rising steadily. From our one-day perusal of pictures, I found a true value Robert Demachy photogravure for $350. 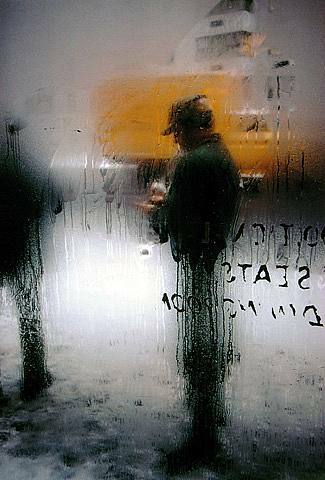 I can't guarantee that this is the Demachy that is at AIPAD, but it is, at least, very similar to this. 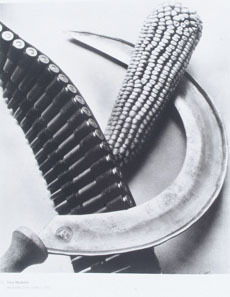 And a Tina Modotti still life silver print for $250,000. This is not the Modotti I am referring to. 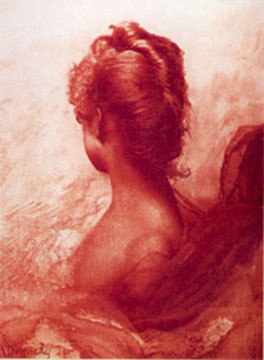 The one at AIPAD is on a black background and in imperfect condition. In between these two financial extremes are many of the greatest photographs ever created. I do miss the presence of some world class artists, though. Where is Richard Avedon? The place is crawling with Irving Penn pictures. For a couple of decades it appeared that Avedon had won the mantle of greatest photographer of the fashion and fine art axis. 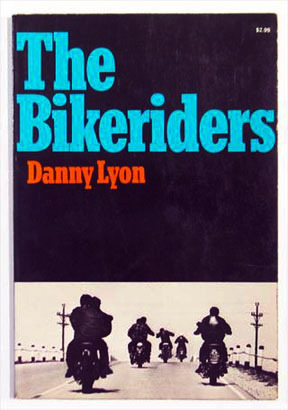 Well, Penn’s passing last October has led to a reappearance of many of his greatest works. 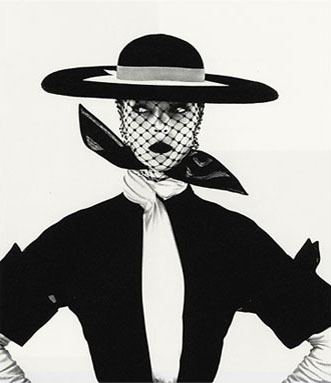 This was, most likely, Penn’s favorite model, and wife, Lisa Fonssagrives. Does anybody remember Post Modernism? It peaked in the 80’s with work by Barbara Kruger, Louise Lawler, Laurie Simmons, Laurie Novak , Nic Nicosia and a few hundred other artists. Maybe Post Modernism never actually happened. I don’t want to be a deny-er, but there is little sign of the 1980s ever happening at AIPAD. One huge exception are Doug and Mike Starn who have a gallery to themselves. Cindy Sherman, a true art diva, is absent. Sally Mann has a few scattered early pieces lying around, but none of her newer wet-plate efforts. 80’s art star Robert Mapplethorpe also has several works spread throughout the Armory. One true visionary who received his MFA from Yale in 1981 and became a gallery sweetheart soon after, is Abe Morell. 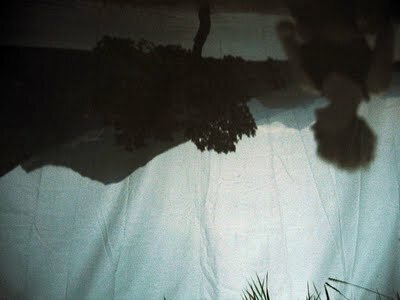 Abelardo Morell's 2010 new work. Above is a box of his newest work photographed off the ground inside a tent out in the wilderness. It reminds me of the historic observations of the camera obscura seen by Arabs over a thousand years ago living in tents in the desert. 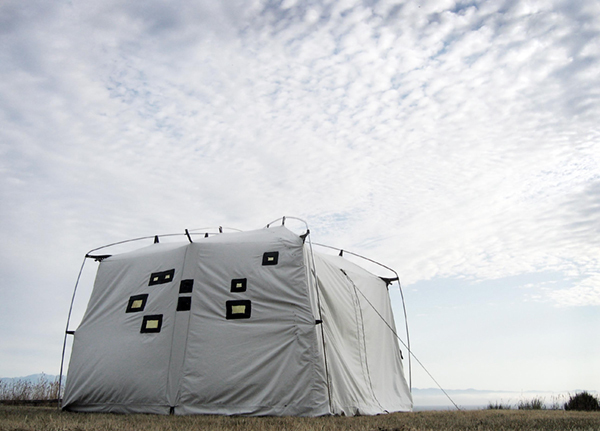 Trudi Lynn Smith's camera obscura tent. The view inside of Trudi's tent. No, I did not see any Trudi Lynn Smith work at AIPAD. I hope she is there, though. The highlight of AIPAD is the strong presence of 1960s photographic work. From Elaine Mayes’ Haight Ashbury portraits to Danny Lyon, Jill Friedman, Diane Arbus and Saul Leiter‘s brilliant early color work. I think my title question of “AIPAD or iPad?” comes from my observation of so many gallery presenters who were working their internet cell phones while sitting amidst 180 years of the greatest visual stimuli a photo lover could imagine. The reality is that most of the images I saw on walls or in boxes are simply an iPod Touch away from being seen by a large number of 21st century humans. With more sophisticated and user friendly picture viewing devices becoming available soon (iPad), we can carry an infinite number of pictures with us almost anywhere we go. I don’t have to own a $100,000 photograph when I can view it anytime from the web. There is something about the physical touch that trumps the touch of a viewing screen, though. Technology and photography make loving bedfellows. We ran into Bill Arnold at the show. Since the 1960s he has used the Olympus Pen 35mm, or one of the Olympus half-frame cameras, with a converted Itek micro film reader/copier to create beautiful black and white non-silver prints that relied on a technology of his own invention. The Olympus Pen has since been replace by a digital Pen, the Itek was less fortunate. Bill has brought his last Itek printer to the dump. The pictures created from it are now selling at AIPAD for $3500 each. That’s the end of an era for Bill and a microcosm of the technological shift that we are all facing. I’m hoping that photography galleries can survive the transition. 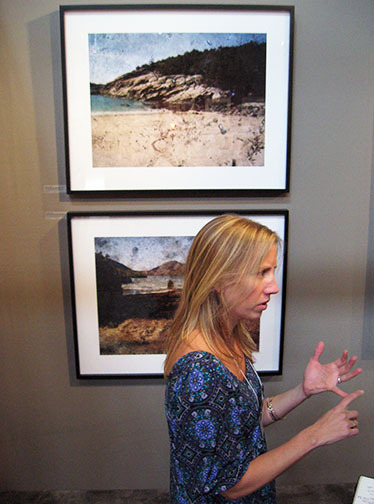 At AIPAD, silver gelatin prints and type C color prints outnumber digital ink jet prints by a large margin. 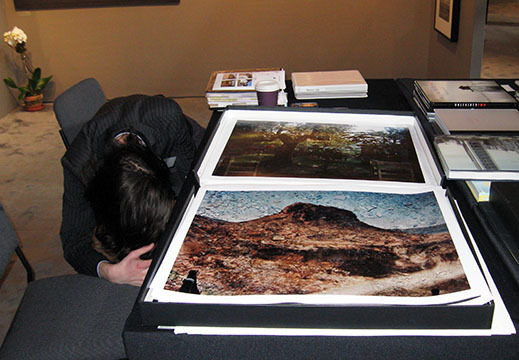 Digital prints most often appear as large mural sized creations. 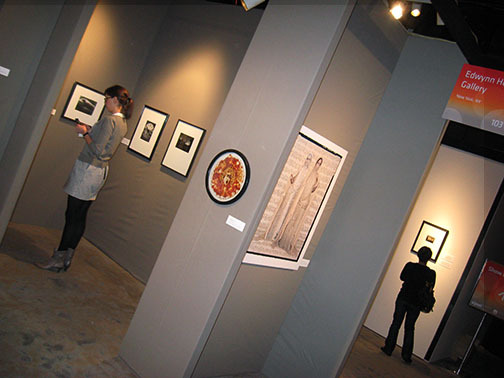 Only a few artists and galleries are exhibiting average sized giclee portfolios. I want to close with Jack Spencer’s lush, mostly digital, landscape work being shown at the Stephen Clark Gallery from Texas. 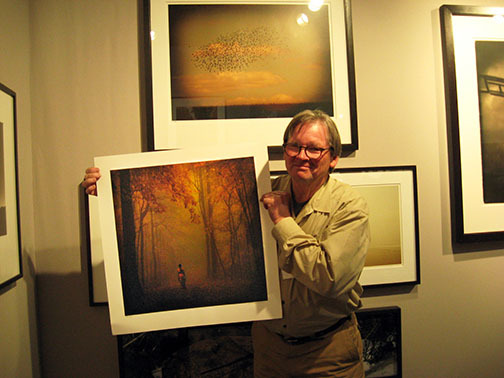 Stephen Clark showing the work of Jack Spencer. I remembered Stephen Clark from two years before when he struck me as the nicest gallery owner at AIPAD. He still owns that mantle. 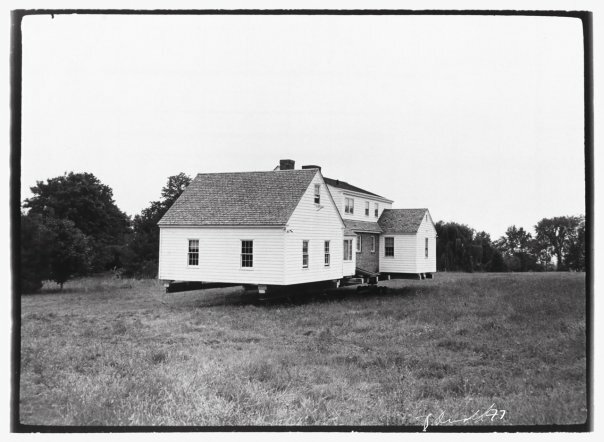 The AIPAD event continues through Sunday at the Park Avenue Armory in New York City. Saul’s work represents a style that I can very much associate with. I remember when I discovered the image you have pictured here, I was immediately drawn to his work. I did a very thorough investigation on who he was and where he was from. Give the time period I was even more impressed with his imagry. Penn reminds me of Rodney Smith. Another famed fashion photographer that can be held in very high regards. On a side note, your blog posts have been fantastic. These last few posts have really caught my attention. Thank you. I know I can turn to your blog to continue to learn something from you outside academic institution.